Capture job progress from start to completion. Log the progress of a job in real-time using touchscreens, keyboard and mouse or mobile device. Barcodes can also be generated for individual jobs and operations and then scanned by barcode readers. When integrated to the Scheduling module, provides operators with ordered work-to lists. Using a simple intuitive interface, capture job activity and material costs in real-time. 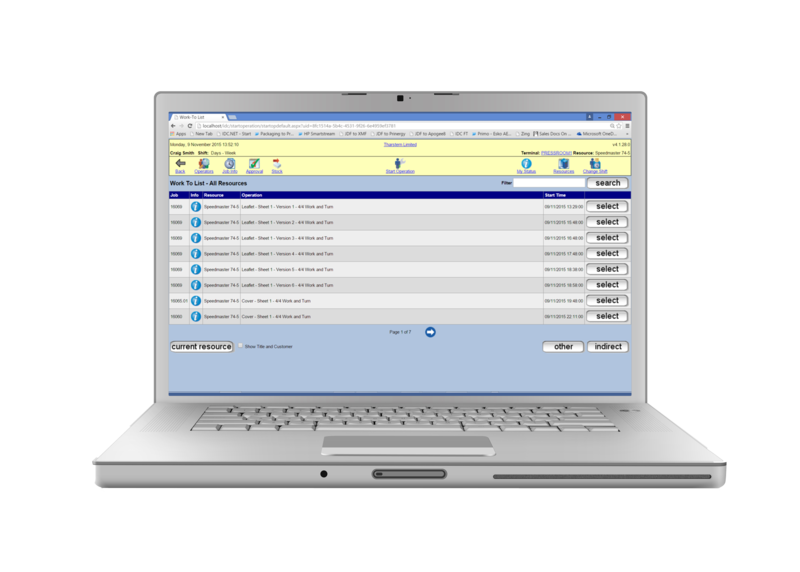 Capture extra production costs and alert CSRs to important production situations. Operators can view detailed production requirements including the status of previous operations, allocated materials, estimated times and actual artwork. Product specific print passports allow you to sign-off on operations and capture QA checks by individual operators.